Yes, we know. Cold temperatures in Sarasota, Bradenton and Venice just won’t go away, and those lovely Southwest Florida palms in your front yard look like they’re having some serious droop issues. Makes you want to call a tree trimmer right now so those pitiful fronds hanging down can be sliced off and hauled away, doesn’t it? Well, not so fast. If you cut off your green fronds, you’re making your palms even more susceptible to cold damage. Why? Because green fronds are still a perfectly good food source. Just because they look a little bedraggled doesn’t mean they can’t carry on photosynthesis to produce the essential carbohydrates your palms need. And besides, you’ll constrict trunk growth. Palms grow by thickening and elongating their trunks. The more fronds, the healthier the trunk. 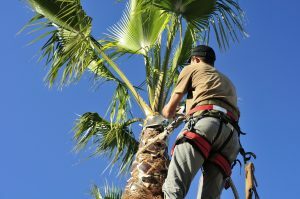 We recently saw a long row of Washingtonia palms in Lakewood Ranch, FL, and their skinny trunks and “hurricane-cut” canopies were dead giveaways that someone had been way overzealous with the trimmers. And something else for you to keep in mind: Florida soil isn’t famous for being rich and fertile. So a majority of our Southwest Florida palms have some sort of potassium or magnesium deficiency. If you cut the older green fronds, the deficiency creeps further up into the canopy. You’ll know when you see the leaf tips turn yellow or brown. Another reason not to fixate on a droopy green frond or two. Bottom line: Just be patient and let your palms do their thing. Repeated pruning over a long period of time can harm them, potentially causing you significant removal and replacement costs. Save yourself some time and money. Leave the green fronds alone and watch your palms pay you back with years of breathtaking tropical beauty. Questions? 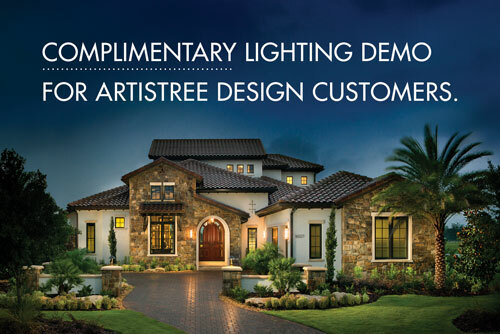 Contact the experts at ArtisTree Landscape Maintenance & Design at 941.488.8897, or visit www.artistree.com to view their landscape design portfolio.